This course takes an in-depth look at an advanced component of the decision making process, evaluating the stability of a slope. Under the guidance of a highly experienced instructor, students will observe the snowpack and practice a wide variety of stability evaluation tests, with a focus on doing them correctly, meaningfully, and safely. Stability evaluation will be placed into the context of one’s own decision making process, which will help students have the best information available when making a go-no-go decision. This is a "hands-in-the-snow" class; waterproof clothing is a must. For this course we will be accessing the backcountry. If you own a touring setup or split board you are welcome to skin with the instructor and consequently ski or ride out at the end of the day. Please bring your own AT or Split Board setups as we do not have these available for rent. If you do not ski or ride, please plan to snowshoe - which can be rented from mtnGEAR. For this course, you will need an Avalanche Beacon, Probe and Shovel. These items may be rented for $26. Most of the required equipment is available for rent from our affiliate mtnGEAR. Workshop Participants will receive a 20% discount on all rental equipment and clothing. 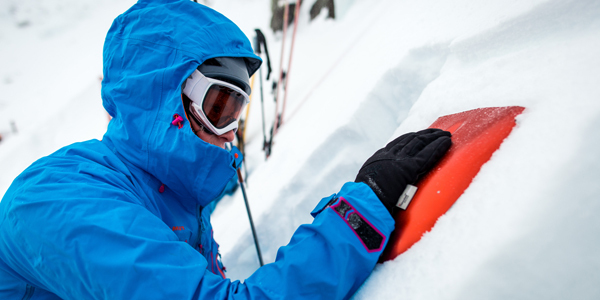 This workshop is designed as a refresher for those who have completed at minimum AIARE Avalanche 1 course or comparable. Instructional sessions (8+ hours field instruction). Jeff began his career in the snow and avalanche world in 2002 working as a caretaker at the base of Tuckerman Ravine. In 2006, he earned a Master’s Degree in Outdoor Education and began work as a Snow Ranger for the Mount Washington Avalanche Center. Jeff's rescue experience goes beyond classes and training, he draws experience from several real-life incidents over the last 15 years of working and recreating in avalanche terrain, including some close calls of his own. He believes in the power of hands-on experiential education and will work with you to deepen your understanding and hone your skills.